ONE OF SAN DIEGO REAL ESTATES NEWEST SHINNING STARS. Sophia may be new to the Real Estate world but her resources run deep. 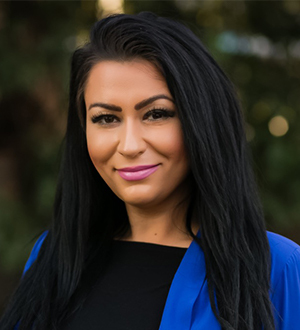 A San Diego native, Sophia has extensive knowledge of all the different cities and neighborhoods across San Diego County and an intimate understanding of what makes each district so special and unique. There is no place on Earth quite like San Diego California and owning property here is one of the great privileges of life. Sophia, her fiancé James who serves as an EOD Tech in the US Navy and their 3 beautiful children are enjoying the beach and sunny weather all year long. Sophia’s personality is contagious, her down to earth, caring, loving and genuine heart is what attracts people to her. Treating clients like family is not only a guiding principle but a way of life for Sophia and the Century-21 team of San Diego. When not with a client or in the office, Sophia can be found being team Mom for her boys Little League team, cooking with a glass of wine, enjoying a good football or hockey game or heading out on an adventure for the weekend with her family. Why am I different? Coming from a back ground of Front Office Coordination for San Diego’s top Ear, Nose & Throat Specialist in San Diego, I am known for my outstanding client services. My goal is to provide a positive experience for all parties involved in any transaction: buyers, sellers, cooperating agents. I know what it means to communicate. I’M NOT #1, YOU ARE!